Hire One of the Best Personal Injury Lawyers in Fort Bend County. 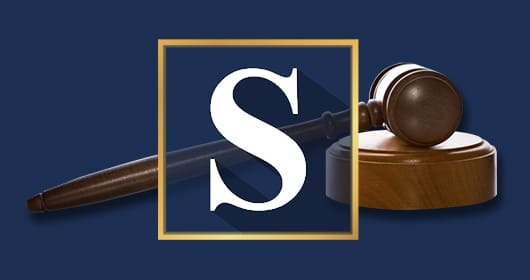 One of Fort Bend County’s, Texas only Double Board Certified Attorneys in Personal Injury and Civil Trial Law, Joe Stephens is one of the most well known lawyers at the Fort Bend County Courthouse. Not only do the Judges know him, but so do the court personnel. He has been appointed on numerous occasions by the courts to represent minor children and advise the court if a settlement is in their best interest. Fort Bend County has about 500,000 people who live there by 2008 estimates, but it is one of the fastest growing areas in the state. Many new roads and communities are springing up, causing more traffic, and more accidents. Thus, injuries in Fort Bend County are increasing. More and more, victims of injuries turn to Joe Stephens, a Texas Super Lawyer and top Fort Bend county personal injury lawyer for help. Numerous car wrecks injure people in Rosenberg, Katy, Richmond, and the rural communities such as in Fulshear. All the major hospitals have moved to the Katy, Texas area in and around Fort Bend County. With over 100,000 people who die as a result of blatant medical malpractice in America each year, the chances have increased that a citizen of Fort Bend County will need an experienced medical malpractice lawyer such as Joe Stephens. Drunk drivers in Fort Bend County are now said to be the number one cause of all fatalities in the County. Joe Stephens has handled these cases for over 30 years with great success. He considers drunk drivers a public menace, and has tried many of these cases. He also has handled every type of motor vehicle accident, whether it be a truck accident, wrongful death case, pedestrian accident, or motorcycle accident. He can help with getting you compensated for your losses, including past and future medical expenses, lost wages, pain and suffering, mental anguish and emotional torment, physical impairment, and loss of household services. 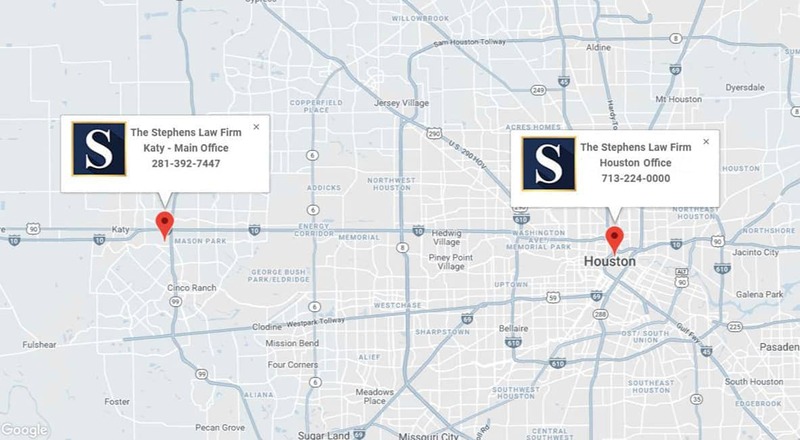 Click here for directions to The Stephens Law Firm in Houston. Call 713-224-000 or fill out the information on the contact form and we will provide you a free case evaluation. If you decide to hire him, he works on a contingency basis meaning you pay a percentage out of your recovery. If there is no recovery, there is no cost or fee.